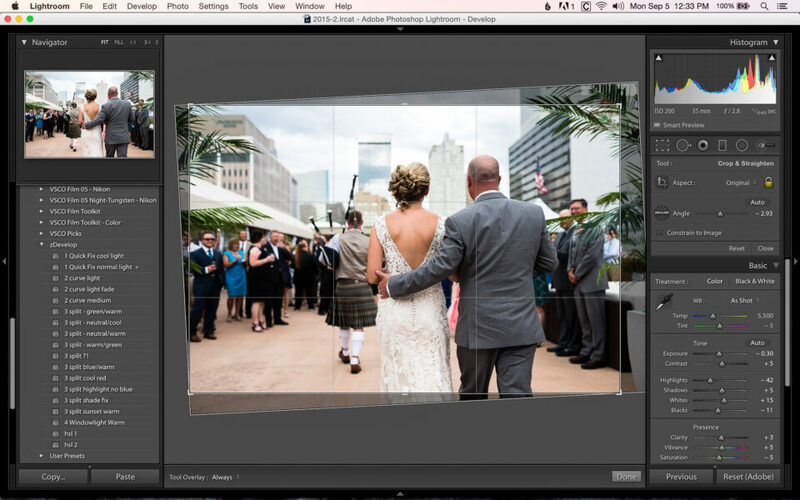 Adobe Lightroom is arguably the most widely-used image editing software around these days. While most of our readers are probably quite familiar with it, a piece of software as complex as Lightroom is sure to have some tricks and features that not everyone knows about. What I’d like to do today is share a few of those with you. If some of these are new to you, enjoy having some new tricks up your sleeve! If these are old news to you and you already knew them all, please leave one of your favorite tips or tricks in the comments section. In the above image, if you look at the large view of the image, it looks pretty good. If you look at the small thumbnail in the upper-left corner in the Navigator section, you can see obvious haloing around my subject that is caused by sloppy dodging. Of course, if you know what to look for, you can see it in the larger image (I also exaggerated a bit for this example), but there have been times I’ve been editing and only been able to see the halo in the small image. Why is it so much more obvious in the smaller image? It’s a simple case of downsampling. When you reduce the size of an image, some aspects of the image can be minimized (such as noise), while others can get accentuated (such as sharpening). I won’t go into detail here about downsampling, as there are plenty of articles on this site that do just that. All you need to understand is that looking at a smaller version of an image might reveal information that you might miss in a larger version of the same image. In this case, by pressing “O” and revealing the mask overlay, you can see that I obviously colored outside of the lines. Now I can erase my dodging from where it doesn’t belong and I won’t have halo around my subject in my final image. This is a trick that I picked up from Photography Life’s own Spencer Cox, and now I can’t live without it! 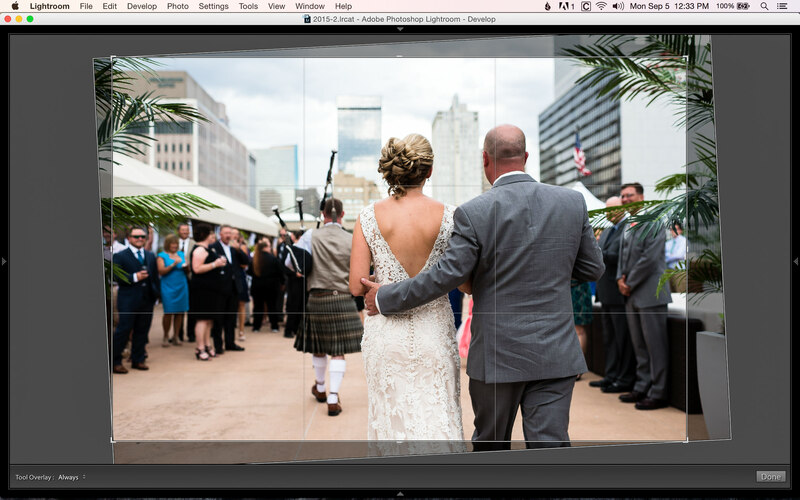 Straightening an image in Lightroom can be an imprecise endeavor. Moving the Angle slider in the Crop panel isn’t very accurate or easy to control. Clicking in the grey area outside of the image and rotating with your mouse is more precise, but can still sometimes make larger adjustments than are desirable. A simple way to make even more precise adjustments while straightening an image is to hide the side panels in Lightroom by pressing “Tab”. This will make your image take up the entire screen. Now when you rotate the image, it moves much more slowly, giving you precise control over the straightening process. When you’re done straightening your image, simply press “Tab” again to unhide the side panels. 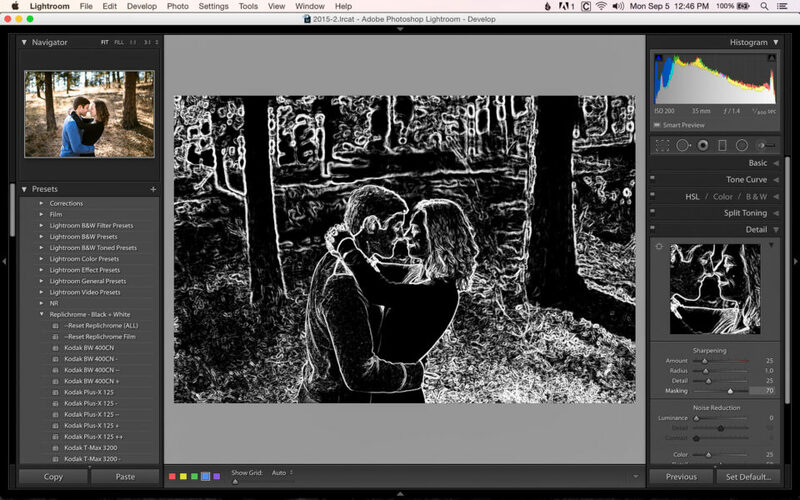 This trick works great when you’re trying to fine tune adjustments to your image. You can use it when adjusting exposure, highlights, shadows, whites, blacks and even sharpening. Simply hold down the “Alt” key (on PC) or “Option” key (on Mac) while moving the adjustment slider. This replaces the image with other information, such as blown highlights, lost shadows or your sharpening mask. Why would you want to do this? When you’re making adjustments, being able to see exactly when highlights start to blow out or when you have your sharpening mask precisely how you want it can make your editing process much easier and more consistent. In our Photography Life Level 1: Workflow and Post Processing video course, we discuss how viewing conditions and screen calibration can affect the final exposure of your image. If you can’t avoid working in different lighting conditions or using different displays, you need a way to ensure that your images have consistent exposures. When I’m editing any type of skin, I pay close attention to the RGB values in the upper-right corner, directly under the histogram. From experience, I know that if I hover my cursor over a person’s forehead and the average “R” value is around 80 for lighter skin or 70 for darker skin, the exposure for their skin should be where I want it to be. In this particular image, I metered near her eyebrow for this value of “R 82.2”. The rest of the values on their faces ranged between R 75-85, which is great for skin. Knowing this, I can get a good exposure for their skin regardless of the conditions I’m working in or my screen’s calibration. You can refer to these RGB values for your own editing, regardless of what type of photography you do. With a little observation, you should be able to find a value for a part of your image that you can always refer to (maybe a blue sky or green leaves). Then, regardless of the conditions you’re editing in, you can consistently set the exposure for an important part of your image. Keep in mind, this only works for the specific part of the image you’re reading the value from. For example, I might be able to get a person’s skin looking perfect, but the sky might be completely blown out. This is simply another tool that you can use while editing, not a magic bullet for perfect overall exposures. 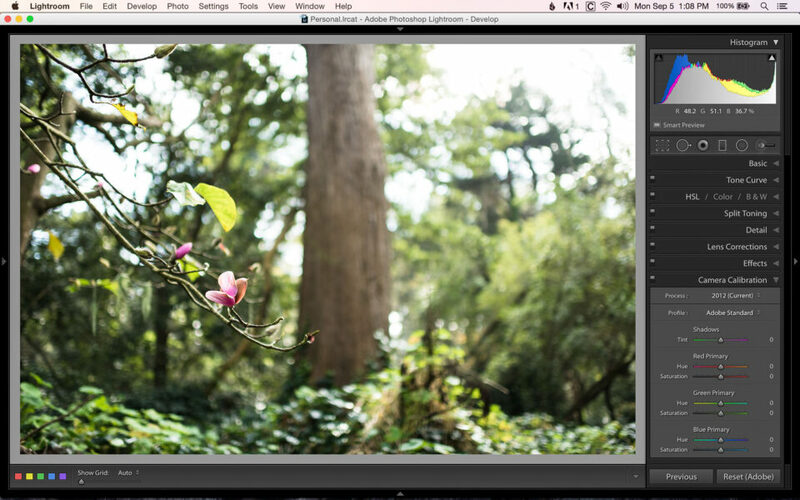 Although it’s found at the bottom of the screen, this can be a great starting point when editing your images. I know that this is the first step of Nasim’s editing process, done before he ever even adjusts the exposure. Changing this setting can make your RAW images look a lot closer to the way they looked on the back of your camera. 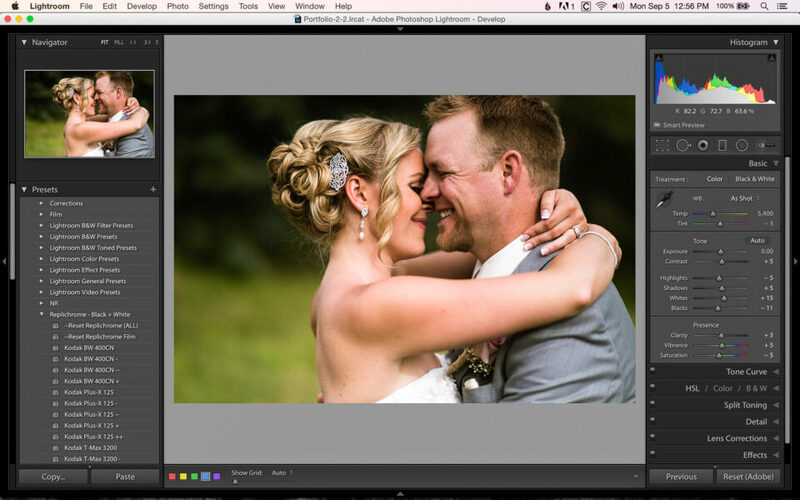 In the example below (I figured I’d throw in a landscape just to give you a break from wedding photos), you can see the difference between the default setting of Adobe Standard and the updated setting of Camera Standard. This was the only adjustment made to the image, which is otherwise straight out of the camera. 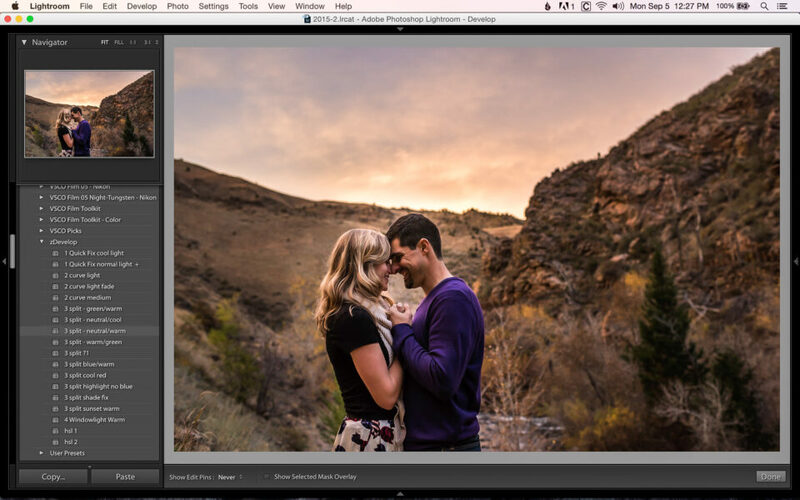 With a piece of software as complex as Adobe Lightroom, there are bound to be features that go unnoticed or tricks that can be used to make photo editing easier. Maybe you never knew you could hold down “Alt” to see more information about the changes you’re making to an image. Maybe it never occurred to you that by making the image larger on the screen it would become easier to straighten. Hopefully by reading this article you picked up a thing or two that will help make your time spent in Lightroom a little bit easier. Glad you found it helpful Joe! You are most welcome. I have always used the RGB numbers in PhotoShop but never thought to do the same in LR. Glad you enjoyed it MC. Nice to see the LR 5 is still very popular. I’m also still with LR 5 so much to learn. There’s always something new to learn about LR, Claude. Enjoy! Excellent, clear information. Thank you! One thing I recently learned about straightening was the “Auto” button. 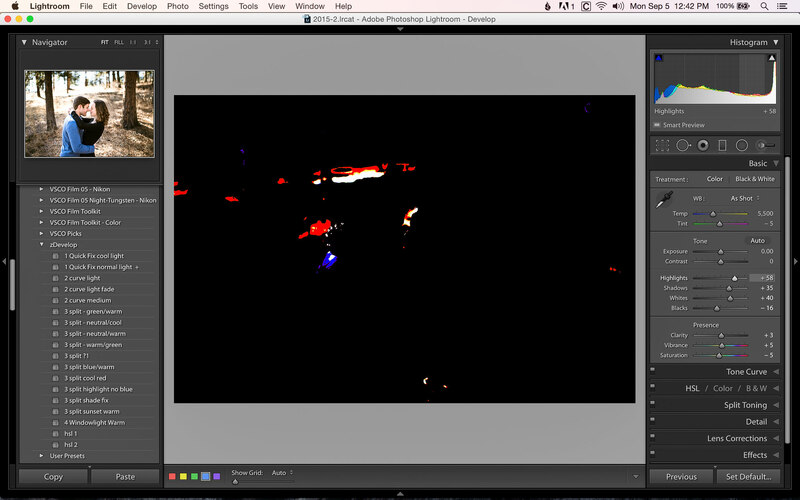 It doesn’t always work, but when dealing with hundreds of images, I try it first & then go from there. That “Auto” button is definitely a great starting point Charlie. I also like to try it out first and see what happens. Great tips! I have always loved seeing what else can be done with the Alt/Option key. The suggestion of moving the distracting sidebars out of the way when editing helps a lot when you only have one monitor. While there are some limits, having a second monitor can greatly help to see your edits on a larger scale. Didn’t think about the RGB numbers though. Nice! Once you get used to using the Alt/Option key you wonder how you ever edited without it! I’d love to get a dual monitor setup one of these days, but until then I have to keep finding workarounds to maximize desktop space. Hope the RGB numbers help you out, Jon! Thanks for the information. I have a few more that may be helpful. Two biggies for me are these: First, as I recently was shocked to find out is that LR is showing the jpg of the raw and not the raw file. Clipping and color can be different – as I found when looking at the raw files in Fastrawviewer. I always had to “degreen” my skies. Second, you can adjust more than one thing in the gradient adjustment (or the brush). A typical example is that you can decrease the overall exposure for a sky but bump up shadows in the hills – in one step. Those are some good ones, Steve! Thanks! Are you sure about that Steve? Lr saves a jpg type file as a preview of the Lr rendering of the develop settings which is shown in the Library module. The raw image is rendered in the Develop module. At no time, to my knowledge, is the embedded jpg in the raw file used except in the import module. 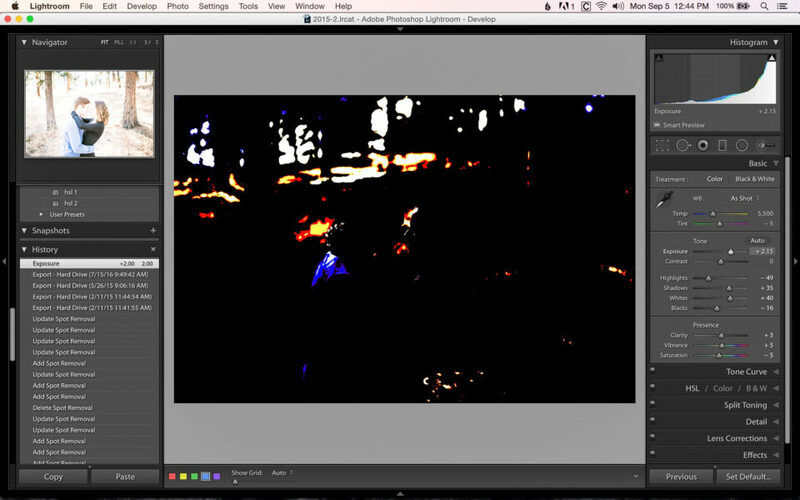 Lightroom shows embbeded JPEGs while importing, only during the file copy step. Then , it starts to build previews with the Adobe Standard profile, and replaces all embedded JPEGs. After import, embedded JPEGs are never used for display in Lightroom. Library shows you Standard previews, and Develop is more complex, it uses its own previews, created on the fly and, after a while, it can switch to the original file. There is only one case when you can have embedded JPEGs : when you’re on hurry to cull, you can import using those JPEGs, instead of creating standard previews. However, even in this case, sometime later, Lightroom will replace them with its own previews. Thank you a great article. Perhaps explore the Transform module for straightening images. Mark one horizontal line and one vertical line against appropriate objects. Up to four lines can be drawn on the image. I’ve used it recently to “straighten” up images of picture frames that have been taken from a slightly oblique angle, so as to reduce reflections on the glass in the frame. Thanks Barry! Maybe we should do an entire article on straightening. Lightroom has so many options that people are unaware of! I didn’t know tips 2 and 4 yet, thanks! On Tip 5 – for my camera (and Eos 70D) I’ve often seen far greater difference between Adobe and Camera Standard than in the example shown here. In fact, until I found this option, I was really unhappy with the results I got starting from Adobe Standard, especially for sky and snow colors. Now I change to Camera Standard (most often), Camera Neutral or Camera Portrait on a case-to-case basis. Glad you learned something new, Greg! 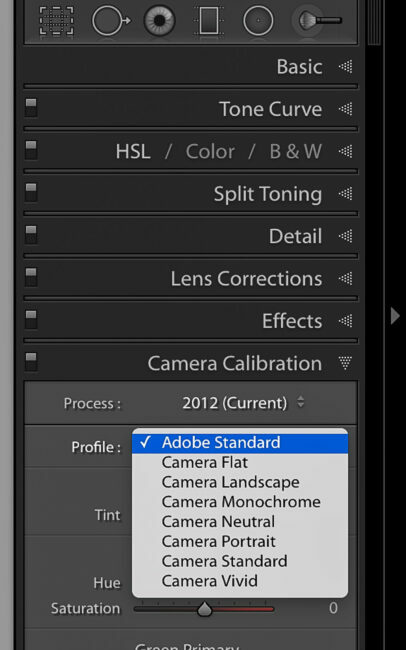 I must admit that I’ve also seen a greater difference between Adobe and Camera Standard than what is shown here, but of course, when I go try to find an example, I can’t find a good one! Another way to get the image precisely aligned with the image frame is to use the free crop function and and create a narrow horizontal box to adjust the horizon. Then, create a similar vertical box to get buildings or other vertical features straight. Ron, are you talking about within the crop tool or the lens corrections sub-module? I can’t quite figure out how to do what you’re saying, but would like to learn a new trick! Thanks for the tip! Regarding #2 aligning … you can also put the cursor in the little box with numbers showing the Angel/degree – then straighten the image more precise by using up and down arrows on the keyboard. Within the crop tool create a phony crop that aligns horizontal correctly and rotate the image to match the correct horizon. Once the image is aligned properly close out crop tool leaving the image correctly aligned to the horizon. The same process works for vertical alignments as well. John, great article would like to see more on Lightroom like this one. Thanks Josk! These are the types of articles I always enjoy reading, so they also tend to be the type I enjoy writing. Glad you liked it! What Lightroom version are you using? No use watching if I don’t have the features referred to. Joyce, these particular tips should work with any version of Lightroom. If you’re referring to the educational video, we’re using the latest version of LR (6 and CC), but most of the features and concepts we discuss apply to all post processing software. John- Great tips. Never knew any of these. You guys do a wonderful job and I learn more every week from your site. Keep it up. Thanks Will! That’s what we’re here for! A really nice feature that I use all the time is the “previous” option. This allows you to make the exact same adjustments as the previous picture. This is really good for wedding or event photographers, who are editing lots of images that were taken in the same lighting situation.. Thank you Mendy! Great tip! I use Develop–> Lens Correction –> Manual –> Rotate. By placing the mouse over the slider I can use the Up/Down arrow keys to change the rotation in 0.1 degree increments. The best part is that this tool places a grid across the image which aids in straightening. David, that’s a great tip! Perfect for fine-tuning. Thanks! Regarding the camera profiles, you didn’t mention that you can install a custom profile and, to use it as a starting point, you can change the default behavior of the Develop module based on the camera serial number, to force it to use that custom profile (no need to create an import preset). Nice tips John. Concise, well-written, with accompanying illustrations. In LR 6.6.1, the “Transform” tab in the develop module provides a nice grid for aligning horizons or other vertical or horizontal edges. Any advice to those of us who use Olympius/Panasonic m43 users? LR (or the manufacturers?) don’t offer any profiles here. Ian, this is one that a friend showed me and, once I learned it, use it all the time! Thanks! @Gilles Theophile: great tip, where do you ‘force’ LR to choose your camera profile? 1) Go in the Preferences > Presets tab, and check “Make defaults specific to camera serial number”. 2) Select a raw shot with this particular camera. 3) In the Develop module, select your custom or favorite camera profile. 4) If you want, you can also do a few custom adjustments (if you find your raw files usually a bit too flat, you can add some Clarity, Contrast, Vibrance, whatever you like). 5) Press the Alt/Option key : the Reset button, bottom right, changes to Set default. Click on it. 6) A dialog box asks you to confirm the new default setting. It also shows the camera model and the serial number. 7) From now, every raw files from this specific camera will automatically get all the changes you made at steps 3 and 4. And don’t be worried by what the dialox box says about undoable changes. In fact, every time you reset the files of this particular camera, it will revert to your new basic custom settings. Anytime, you can revert back to Adobe’s default. Forgot to mention something about step 7 : the new default settings will be applied to any new file imported in Lr. The files already imported won’t change. Gilles: thank-you so much for that tip. I have been hesitant to change the default camera profile because of the undoable comment. I will give this a try. Been trying unsuccessfully for months to learn processing with Corel pro x8 so complicated , I happened across a30 day free trial of Lightroom hey presto signed up for 1yr subscription within two days what a difference for the end user plus tips like these so impressed a lot to learn but a wealth of user tips and info out there, for me my tip is a tablet by my side while processing stuck a quick question to goggle instant answer brilliant again thanks for the tips ,many regards Martii. John, thanks for this article. The RGB value for skin was a new tip for me. Another great (imho even better) way to check for overdone effects is to quickly switch an effect on and off (with that little toggle thingy). I always do this when using the adjustment brush and it’s a great way to discover halos and other over-the-top modifications. Excellent article John. Although I am familiar with most of what you mentioned. It was still a refreshing experience. That thumbnail tip is neat. Great writing as always. to make more precise adjustement, use the SHIFT key when moving slider as clarity, vibrance : the movement is much slower.